This is a very easy recipe. I made four of these pies over the weekend and I was able to knock them out in under an hour. I gave three of the pies away and the recipients of these pies raved about how absolutely delicious they were. You may have seen this recipe on our web site before but, I tweaked it a little bit to make it even tastier. You will love this pie and so will your family and you won't be getting all the sugar and carbs. Enjoy! In a medium bowl, mix together 1 cup ground pecans, butter, 2 teaspoons Steviva Blend, and 1/2 teaspoon coconut extract. (To save time but, NOT calories, I used a graham cracker crust). Press firmly into bottom and up sides of an 8 inch pie plate; refrigerate until firm. In a small bowl, whip the heavy cream with 2 tsp. Steviva Blend until soft peaks form. Set aside. In a large bowl with high sides, mix the Knox gelatin with boiling water until all the gelatin has dissolved. Then stir in the cold water. With an electric mixer, slowly beat in the cream cheese. 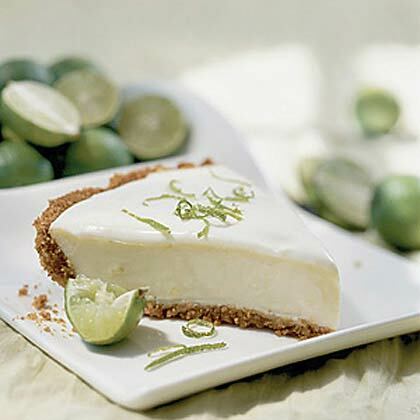 After all cream cheese is added, stir in remaining 1/2 teaspoon coconut extract, and beat at high speed until smooth. Use a spatula to scrape mixture into the pie pan and spread around. Sprinkle remaining 2 tablespoons ground nuts on top. Refrigerate several hours or overnight to allow gelatin to set thoroughly.